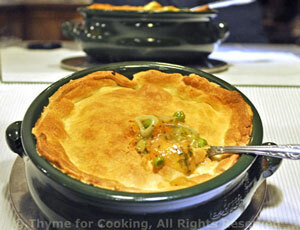 Sunday Supper: Chicken Pot Pie. Not the typical frozen, single serving dish of college days... But still easy.